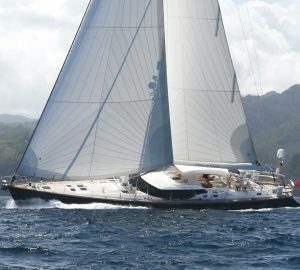 The stunning 22m (72ft) steel grey hull of the sailing yacht LUSKENTYRE is eye catching and sleek. 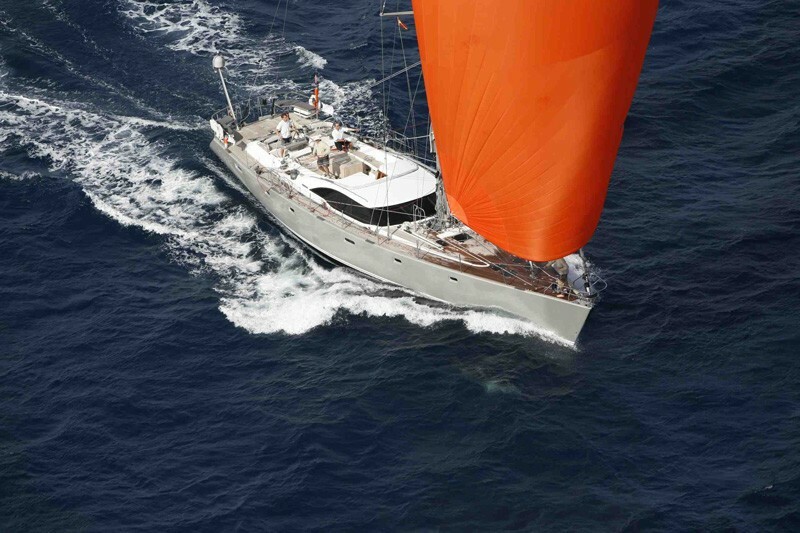 S/Y LUSKENTYRE was launched by Oyster Marine Ltd in 2005, designed by Rob Humphreys, she is able to accommodate 6 guests in 3 cabins with an option for a 7th (child) in a single cabin forward. 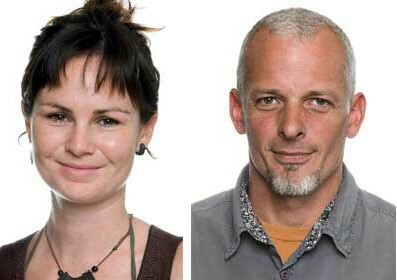 Sailing sloop LUSKENTYRE has a chic interior, beautiful planked wood floors and genuine leather in an auburn tone give the salon a warm and welcoming atmosphere. On the port side a large U shaped settee offers a formal dining space, to port an L shaped sofa invites guests to sit back and relax. For the creature comforts, the salon boasts a full entertainment system. 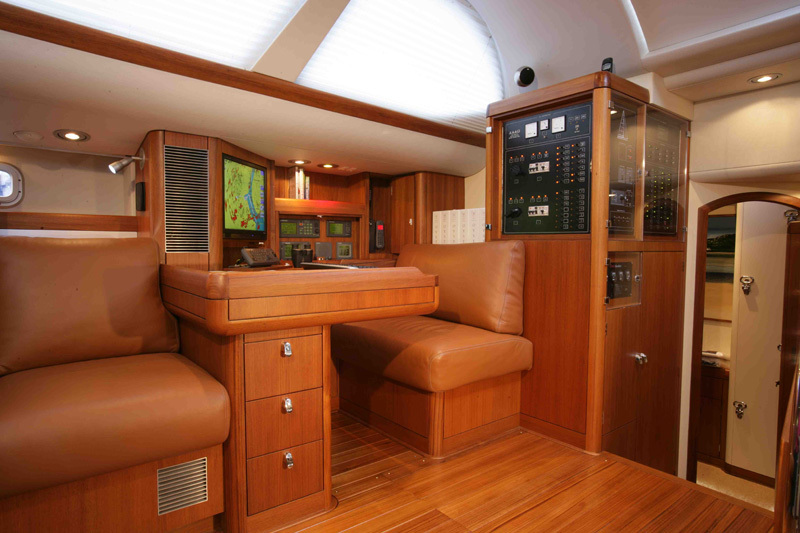 Crew quarters on the Oyster yacht LUSKENTYRE are separate and forward of the salon, ensuring guests privacy. 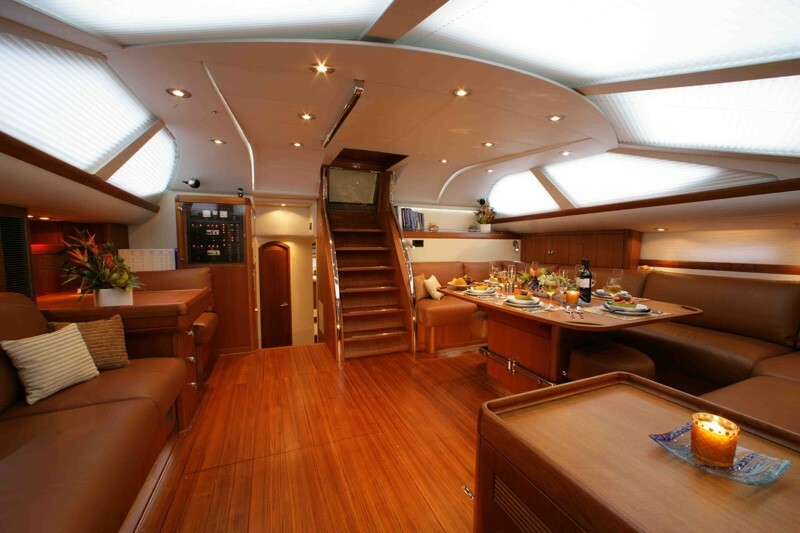 On the main deck aboard the yacht LUSKENTYRE, a massive guest cockpit is free from running lines with ample seating, removable Bimini cover and an alfresco dining option. A walk-through leads to the dual helms where all the sailing action takes place. 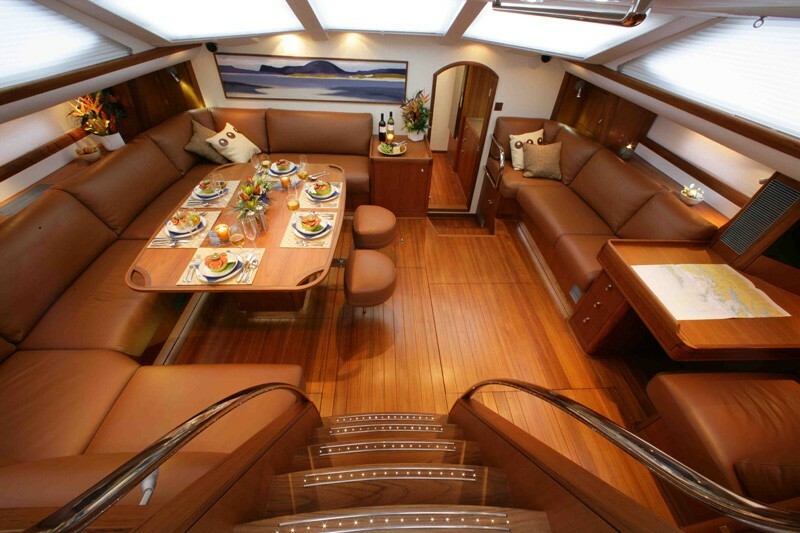 Further aft an open deck area with built in rail seats is ideal for optimum views. 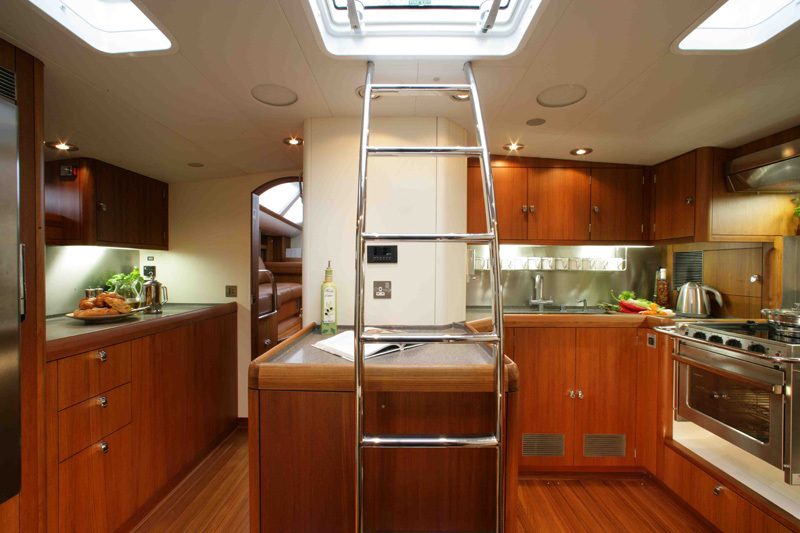 While at anchor, guests may wish to make use of the great water toys on offer from the swim platform. 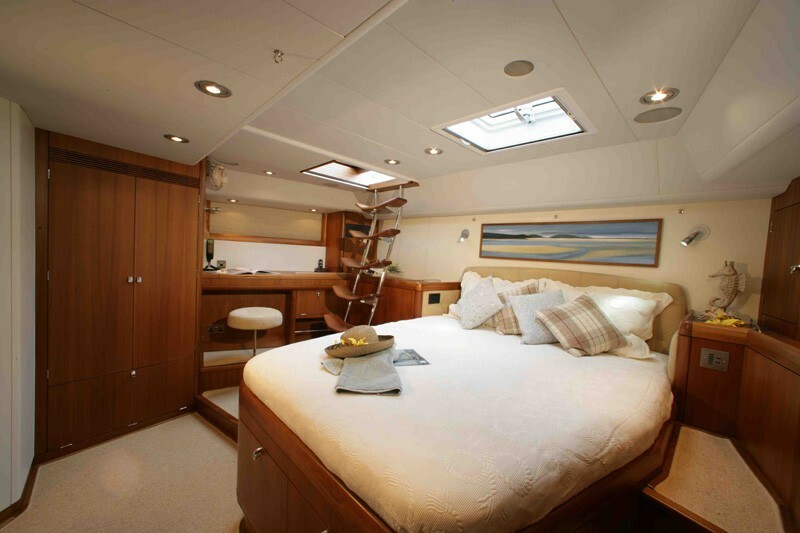 The LUSKENTYRE sailing yacht offers plenty of additional sunning and star gazing deck areas on her expansive flush foredeck. 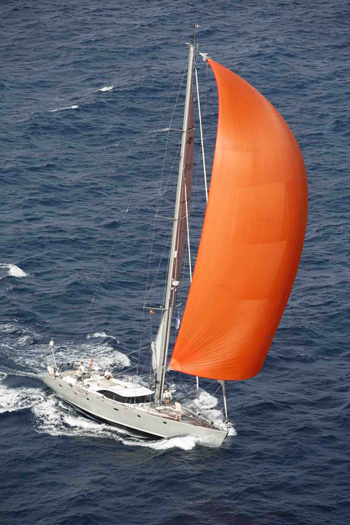 With a beam of 5.8m (19ft) and a draft of 3m (9.10ft), the S/Y LUSKENTYRE is a sailing machine reaching impressive speeds of 9 to 11 knots underway. 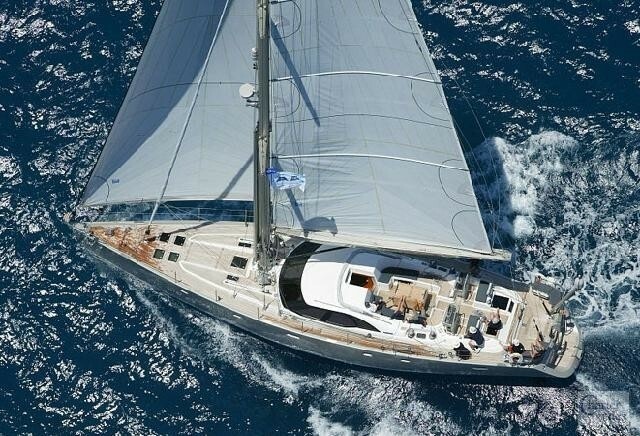 While not under sail she is powered by a single Perkins 225HP engine. 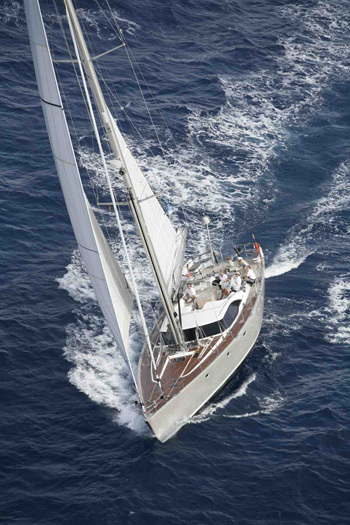 Luxury sailing yacht LUSKENTYRE accommodates up to 6 guests and a 7th if a child in 3 – 4 cabins. The master suite is full beam of the yacht aft with a double bed, sofa, additional private deck entrance and en-suite facilities. 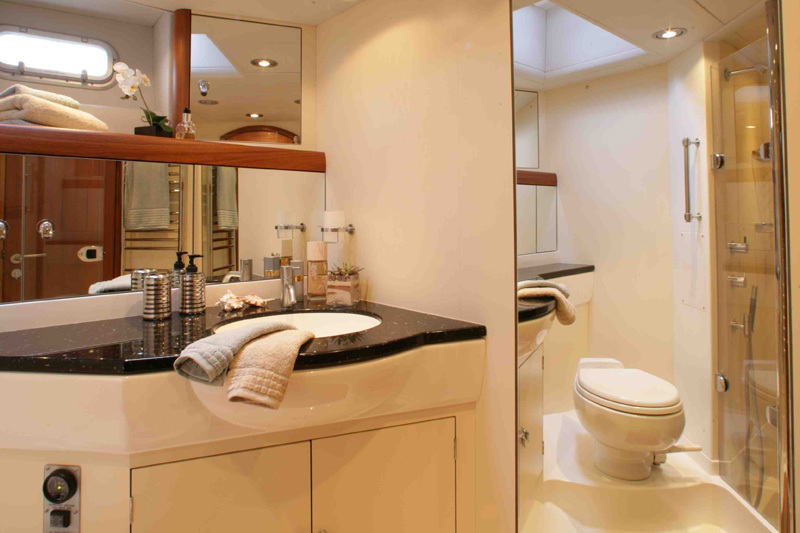 Two guest cabins are on port and starboard; port with a double bed and starboard with twin bunk beds, these 2 cabins have shared facilities, with an en-suite entrance from the port cabin. A further single cabin can be made available forward of the salon and galley, this cabin offers a small single bunk and en-suite facility. All 3 guest cabins feature TV/DVD entertainment.